Samsung recently unleashed not one but two Android tablet computers that have the potential to derail the iPad 2 train. The two new tablets, simply called Galaxy Tab 8.9 and Galaxy Tab 10.1 are loaded with exciting features that could give Apple a run for its money. At 8.6 millimeters (.33 inches) thin, the Samsung Galaxy Tab 8.9 and 10.1 are considered as the world's thinnest mobile tablets beating the iPad 2 by just a hairline in terms of slimness. They are also very light, weighing only around 470 grams and 595 grams respectively. 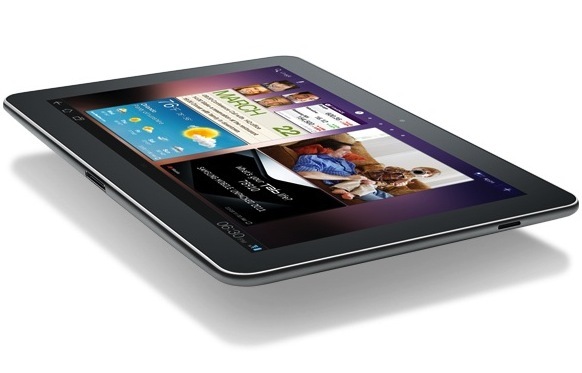 Like the highly publicized Motorola Xoom, the new Galaxy Tabs runs Android 3.0 Honeycomb. However, its user interface is heavily customized using Samsung's TouchWiz UX, which aims to enhance the home screen by adding certain functionalities like the Mini Apps Tray and Live Panel. It is worth noting that Samsung has utilized the TouchWiz UI on some of its smartphones that include the slick i9000 Galaxy S.
In addition to the tweaked user interface, the Galaxy Tab 8.9 and 10.1 are pre-installed with Readers Hub and Music Hub, enabling users to easily access more than 2.2 million books, 2,000 newspaper in 49 languages, 2,300 magazines in 22 languages, and over 13 million songs. They also come with Samsung's Social Hub that could aggregate email, contacts, calendar, instant messaging (IM), and social networks into a unified interface. Looking at the hardware specifications, the latest Galaxy Tabs are fully equipped with features that could easily compete with or probably beat some of the latest Android-powered tablet PCs. Both are equipped with 1GHz dual-core processors (possibly NVIDIA Tegra 2), a 3-megapixel rear-facing camera and 2-megapixel front camera, and will be available in 16GB or 32GB configurations. The camera at the back has a built-in LED flash and can record high-definition (HD) videos at 1080p. 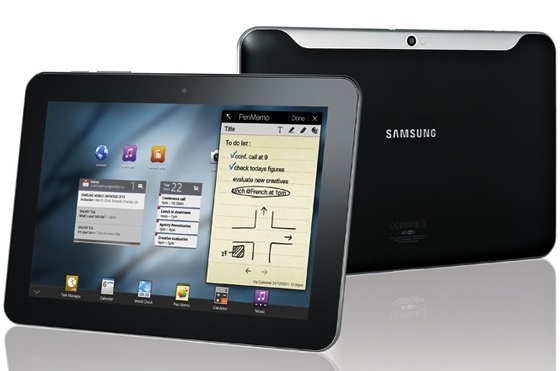 Although the two Galaxy Tabs have different screen sizes, their display resolutions are similar at 1280 x 800. Unlike the Motorola Xoom, the Samsung Galaxy Tab 8.9 and 10.1 are priced aggressively that those of you are planning to buy the iPad 2 should now think twice. In addition, the new Galaxy tabs have essential features that are absent on the Apple tablet such as microSD slot and Adobe Flash support, so I think their prices are really worth it. Without doubt, the Samsung Galaxy Tab 8.9 and 10.1 are among the top Android tablet computers released to date and would likely stop the iPad 2 madness. The thinner tablets are just shells. They don't turn on. They can announce anything they like because they're just mockups. They can say they're as thin as a piece of paper and are lighter then air because they're not real. Say what you like about Apple, when they announce a product, it actually turns on. Anyone looking to purchase a tablet will have to look at this new Galaxy Tab very seriously. It has none of the walled-garden restrictions of Apple and also a number of essential features that Apple doesn't come close to matching. Seriously I want one now, Samsung please sell them directly to your clients here in Morocco ! What part of dual core Tegra 2 running android 3 confuses you?